A healthy eating plan that helps you to maintain your weight includes a type of foods you may not have considered. If “Eating Healthy” makes you feel about the foods you doesn’t Eat, try refocusing on all the new foods you can eat. Healthy Eating isn’t always easy, but thinking about a healthy diet can be one of the intelligent decisions you ever make. Do you know Why? 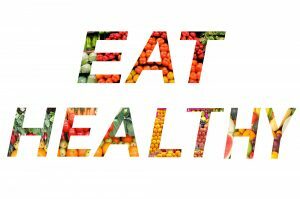 It’s Not only eating healthy well make you look & feel Healthy, but it can also save your money on future health expenses. If you keep Healthy Foods in your refrigerator, then you will Eat Healthy Food. Eating Healthy is not about strict diet limitations, staying thin or leaving your loved food. It’s about a having more Energy, Feeling great and being healthy. No one has time to know which food is healthy and which food is unhealthy in present days. Those who think they have no time for Healthy Eating will soon or Later have to find time for illness. You don’t have to Eat Less you just have to Eat Right. Today is the Chance to Change yourself for the better. It’s time to think about what we eat. Eating Healthy also means leaving out or only rarely eating foods that are high in added sugar, saturated fat, and sodium. That includes most fast food, full-calorie sodas, processed snacks like chips and crackers, and anything with more milligrams of sodium than there are calories in a serving. If you need some help to Know How to Eat Healthy? Here are tips for 10 ways to Eating Healthy. If you Eat more fruits Everyday, surely you can be Lead Healthy Life. Eat Healthy fruits can take you away from many diseases. Here is the importance of the Some Fruits. Apple: It helps your body to develop resistance against Infections. Oranges: It contributes to maintaining great skin and vision. Grapes: It relaxes your body blood vessels. Bananas: It gives energy to your body. Strawberries: These fruits can potentially Fight against Cancer and Aging. Kiwi Fruit: Kiwis increase bone mass. Mangoes: They help to fight against several types of Cancers. Watermelon: It contributes to control your heart rate. Cherries: Cherries Helps to Calm your Nerves System. Blue Berries: It protects your Heart. Like these fruits, many other fruits can protect your body from diseases and Keeps you healthy. 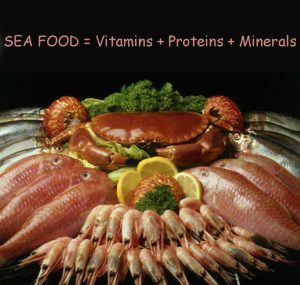 Seafoods Provide Essential Nutrients to your Body. It Good For Your Joints. It gives you Good Skin. Seafoods Boosts your Brain Power. It helps to Fight Against Depression. It gives many Pregnancy Benefits. Make a habit of Drinking water at the first thing when you wake up. 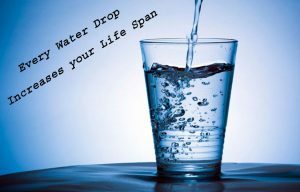 Replace your habit of drinking Coffee, tea, or Drinks in free time with the water then surely it increases your life span. Here you can know some benefits of Water. Drink more water; helps to lose weight. It keeps your skin Healthy. Water keeps your heart healthy. It helps to get rid of Boady toxins. Drinking more water prevents Join pains and Arthritis. It Boosts your body Energy. You can reduce the risk of cancer by drinking water. People who eat grains being part of an Eating healthy food they have a reduced risk of some chronic diseases. Multi Grains are important sources of many nutrients, containing fiber, B vitamins and minerals (iron, magnesium, and selenium). USDA’s recommends making half of your daily meals choices whole grain for healthy eating. Helps to control Blood sugar. Dark chocolate filled with nutrients that can positively influence your health. It Made from the seeds of the cocoa tree. It is one of the best sources of antioxidants on the planet. Research show that dark chocolate (not the sugary crap) can improve health & lower the risk of heart disease. Dark Chocolate is a Powerful Source of Antioxidants. Dark Chocolate May Improve Blood Flow and Lower Blood Pressure. It Raises HDL and Protects LDL Against Oxidation. Dark Chocolate May Lower The Risk of Cardiovascular Disease. Dark Chocolate May Protect Your Skin Against The Sun. It May Improve Brain Function. 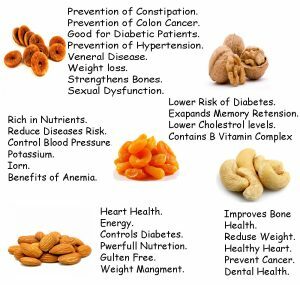 Dry Fruits are one of the best in Eat Healthy. They Packed with proteins, antioxidants essential fatty acids, & minerals, these are the small sources of good health. Most of the water extracted from dry fruits; their nutrients condensed into small packages. Reduce the Risk of Developing Cancer. If you are Planning to Eat Healthy, then Vegetables are the best choice. Vegetables are the important part of healthy eating and provide a source of many nutrients, including potassium, fiber, folate & vitamins A, E, and C. Here are some benefits of Vegetables. Maintain Strong Bones and Teeth. Prevents Cataracts and Eye Diseases. Boost Immune function and Many other Benefits. These are also a part of the Healthy food. Potatoes can also use in many Beauty tips. Sweet potatoes are the good for everyone. They are rich in proteins and mineral. They keep you healthy by preventing many diseases. Sweet potatoes help to reduce your Cold and Flu. It keeps your heart healthy. They help in Digestions. These are the High Nutritional food for Pregnant women. Sweet Potatoes can relieve your Stress. Those who decided to stay Eat Healthy, they have avoided Saturated food like Burgers, Pizzas, Fries, Sandwiches, etc., Because they are the resources of Fat and Cholesterol. You won’t stop eating fast foods then definitely met with Heart diseases very soon. Most sodium in the regular diet is in the form of the salt, which is beneficial in small amounts but can be harmful in large doses. Most people consume more salt which recommended than more. If you eat too much Salt, it begins to build up in your body and can contribute to numerous health conditions like High blood pressure, Fluid retention. It makes up a large part of the usual diet because they taste good. Sugar is added to many foods to boost the flavor and taste. You should limit your eating of sugar to between 6 and 9 teaspoons per day. Knowing the difficulties of consuming too much sugar might motivate you to take charge of your health & reduce your intake. Using of more sugar can lead to face many health problems like Weight gain, tooth decay, etc.